Since May 2017, the Singapore government has implemented an Internet Surfing Separation (ISS) policy that restricts Internet access on workstations of public servants. With the recent massive data breach at SingHealth, more organisations have now implemented the ISS policy, and we believe that even more organisations will follow suit. With the ISS, the typical way of sending email invitations to government workers asking for RSVPs will no longer work. This is because their air-gapped computers will not be able to load external resources like images, or open links to the registration form. Having learned from experiences, here’s a few ways we tackle the issues. Load resources (images, menus, etc.) as attachments. Every resource that needs to be referenced in the email (e.g. 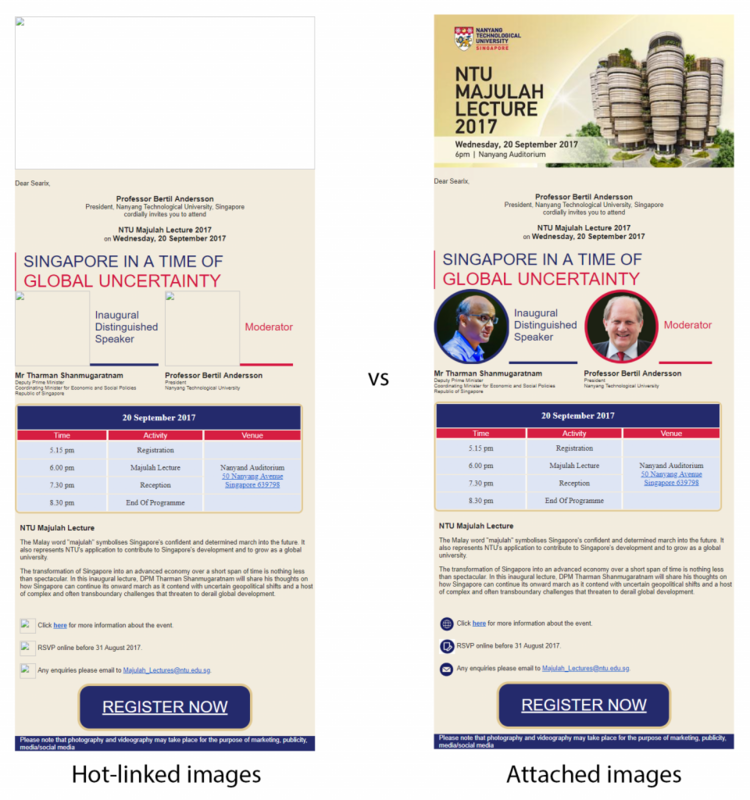 the banner image) is made into an attachment instead of a hot link (i.e. loaded from a URL). This ensures that all the images can be viewed even without being able to access the Internet. If the attached QR code is in a confirmation email, it can be further used in on-site registration. Include a QR code to the registration link. 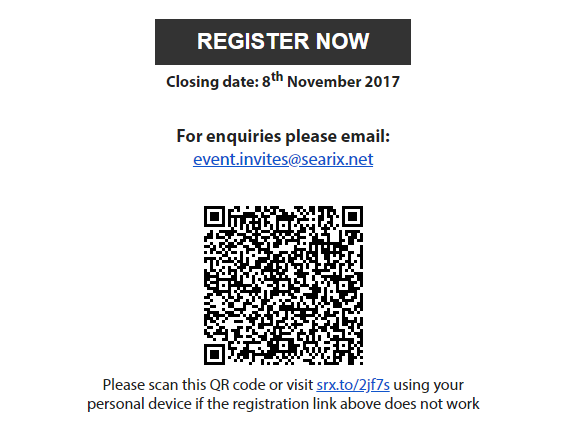 A QR code representing the unique registration link for each invitee is generated, attached and displayed in the email. 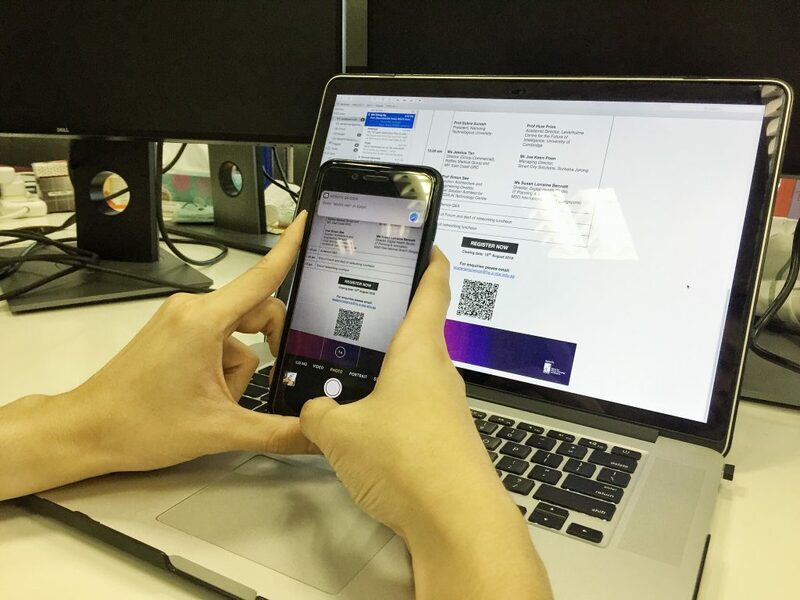 Instead of clicking on the link, ISS-affected invitees can use their personal mobile devices to scan the QR code. This will open the link to the registration form for them to fill in their details and RSVP. Include a short link too. While iPhones can scan QR codes using their camera, Android devices do not have that capability built-in yet. A short-link is also therefore provided to allow the invitee to easily type the link into their mobile device’s browser. Depending on the event and invitees, we have other recommendations, and there are also ways to further harness this source of trouble to your advantage. Organizing an event that has invitees restricted by the ISS? We’re here to help.